For PJ Helicopters, the efforts to knock down California's deadly Camp Fire, 90 miles north of Sacramento, are personal. 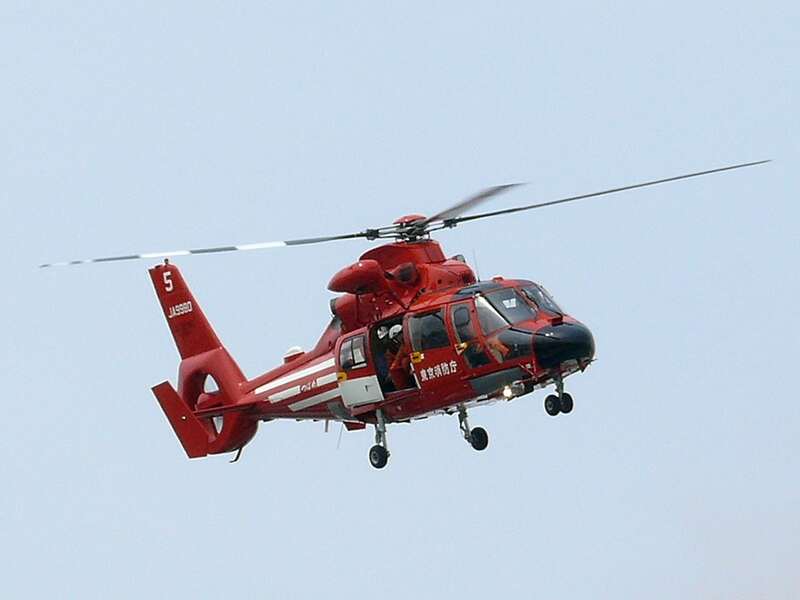 The Red Bluff, California-based company, which has a fleet of 32 helicopters, has at least two flight crew members who have lost homes to the blaze in the towns of Paradise and Magalia, said Ted Rawlings, fleet operations manager for PJ Helicopters. The latter's headquarters is about 50 miles northwest of Paradise, which the blaze destroyed. Rawlings has supported the firefighting efforts by driving a Kenworth T880 refueling truck. Each truck supports a specific helicopter assigned to a job, and the arrangement allows constant refueling, according to PJ Helicopters. 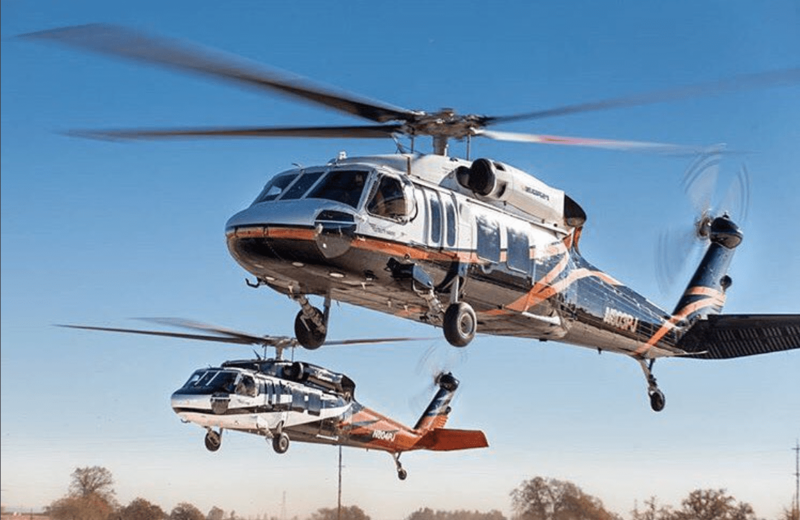 PJ Helicopters has had three UH-60A Sikorsky Utility Hawks, which have up to a 900-gallon carrying capacity on external buckets, fighting the Camp Fire. 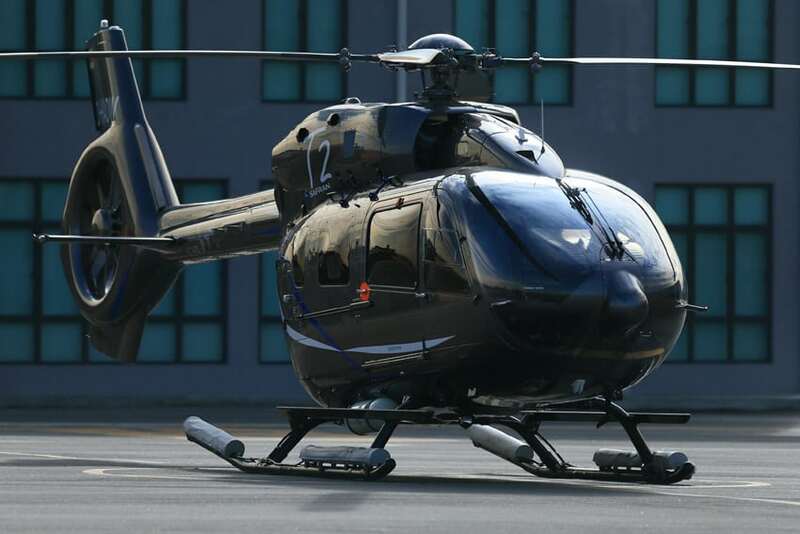 In addition, the company has employed several Bell 407s and a Bell 206L3 for transporting commanders over the fire. "It’s been challenging, sunup to sundown," Rawlings said of the helicopter crews' firefighting efforts. "That’s how fighting fires is. They fight it in as much daylight as they can. The other challenging thing is we have so many evacuees and so many displaced people. We've had to set up travel trailers to house our crews so they don't have to drive two hours to get a hotel room or an hour back to Red Bluff." Cal Fire received the first reports of the Camp Fire at 6:29 a.m. Nov. 8. 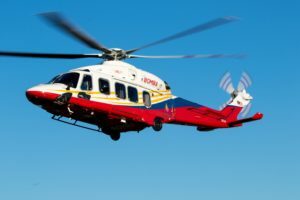 At 3 p.m. the day before, Pacific Gas & Electric (PG&E) had told PJ Helicopters to stand down the utility work the company performs for PG&E and to put 10 helicopters on standby because of the "red-flag" fire conditions. "On Nov. 8, we came in to the shop around 7 in the morning," said Rawlings. 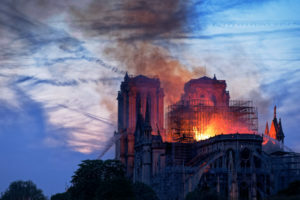 "We looked to the southeast, and there's a plume of smoke. We were on the fire by 9 in the morning. By then, it was already in Paradise." "We had a few helos standing by for PG&E in Oroville and Chico," he said. "One of the pilots who was supposed to be on standby in Chico had to land in Chico and find his wife." 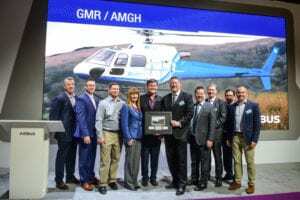 Rawlings said that PJ Helicopters is working with a company to install an internal tank on the company's UH-60A Utility Hawks. 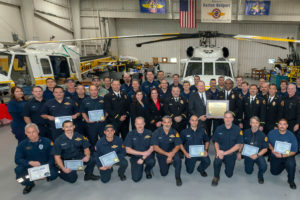 Internal tank-equipped firefighting helos have the advantage of being able to fly anywhere to fight fires, including urban areas, Rawlings said. For the Camp Fire, the external bucket-equipped helos have been able to fly over a "dip site," such as a swimming pool, lake or reservoir, and replenish their water supplies, Rawlings said. 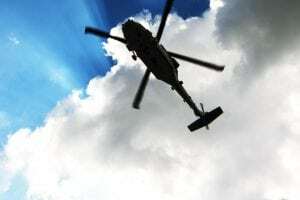 But the external bucket-equipped helos have, at times, been delayed in fighting the Camp Fire. "Around Paradise, there’s not a lot of water bodies to choose from," Rawlings said. "You have the Oroville Reservoir and Lake Oroville. There were six Type 1 aircraft in rotation to go to one 'dip site.'" Nearly 9,000 firefighters, fixed-wing aircraft, ground equipment and 45 helicopters, including Sikorsky S-70 Firehawks and the UH-60A Utility Hawks, Boeing CH-47s, Bell UH-1s and Sikorsky S-64 Skycranes, are battling three wildfires across California, including Camp Fire, which has killed 56 people and is on record as the deadliest fire in state history. California fire investigators have said that downed power lines may have sparked the Camp Fire blaze. About 15 minutes before firefighters in Butte County received the first dispatch Nov. 8, PG&E reported possible downed power lines near Poe Dam. While the White House has blamed "poor" forest management for Camp Fire, California Gov. Jerry Brown holds a different opinion. "Managing all the forests everywhere we can does not stop climate change, and those who deny that are definitely contributing to the tragedies that we're now witnessing, and will continue to witness in the coming years," Brown told the media Sunday. "It's a pattern we're seeing with this one [Camp Fire], how fast it moved," Rawlings said. "Normally, when a fire starts, Cal Fire assesses it to see whether they need additional aircraft. We were on Camp Fire in less than three hours of it starting. Normally, it isn't that quick."